We understand you have many choices when you’re looking for a financial advisor. Deciding who is the best financial advisor for your unique situation can be challenging. It’s an important decision, so we encourage you to take your time. When you’re looking for a firm to help you protect and grow your life savings, it’s vital to do the research necessary to evaluate your options. Here’s some information to help you determine if James River Advisors is the best financial advisor for you. Is James River Advisors right for you? If these values are important to you, we may be the best financial advisor for your needs. Some investment advisors have affiliations with product companies. As a result, their advisors act as salespeople, not as true advisors. Don’t believe it? A 2015 White House Task Force report estimated that these conflicts of interest are so common, they cost Americans an average of $17 billion per year! With James River Advisors, we are completely independent. We have no ties to any product companies, so our only motivation is to give you the best advice possible and help you achieve your goals. Many clients believe this is part of what makes us the best financial advisor for them. Equally important, we act as a fiduciary to you. What does that mean? It means we are obligated, legally and ethically, to put your interests before ours. A fiduciary is the highest ethical standard in the industry. 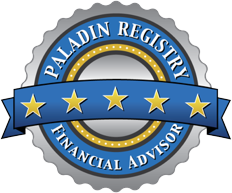 Be aware that not all financial professionals are held to this fiduciary standard. All financial firms promise to help you invest, but your financial future is about far more than just investments. We provide true holistic advice, focusing on many different areas other than just your investment account. Our diverse team of financial planners, investment managers and certified public accountants ensures you get the expertise you need. If there’s a unique financial need you have that we don’t handle, we’ll help you find a competent, trusted professional. At James River Advisors, we believe that it is important to differentiate between time-tested methodologies and the latest investment craze. The next “big thing” may only work in the current economic cycle, as we saw during the dot-com bubble and the financial crisis of 2008. Instead of following what’s trendy or popular, we rely on prudent, evidence-based investing principles to protect and grow your wealth over time. Cost-efficient investment options, such as low-cost mutual funds and exchange traded funds, to keep your money working harder for you. Tax-efficient strategies, which can provide you improved returns with no added risk. We are here to help you avoid the big mistakes that keep most people from reaching their goals. Along with regular reviews to make sure you are staying accountable to your own goals, we’re always a phone call or email away to help you stay on track. At James River Advisors, we know variable or hourly fees make people uncomfortable. Hourly fees make it impossible to know the total cost until after you’ve already hired a professional and agreed to pay what they say you owe them. Worse yet, fear of receiving the invoice also makes you hesitant to seek out the help you need, which completely defeats the purpose. Our advisory fees are all-inclusive and cover our investment management, financial planning and financial coaching services. With this all-inclusive approach, there are no hourly charges or surprise invoices. This provides you with peace of mind knowing you can call us whenever you need us. Learn more about our fees. We clearly disclose our fees as well as the other costs you will incur, so you can easily understand them. We also prioritize keeping your costs low. This cost-effective fee structure keeps more of your money working for you. Learn more about our fees. We believe that the more informed you are about your financial situation, the easier it will be for you to achieve your financial goals. For many of our clients, our commitment to communication is part of what makes us the best financial advisor for them. In the old days, the best financial advisors were often seen as “gurus.” The gurus would talk and the clients would listen, often unsure of exactly what was being said. Fortunately, things have changed. At James River Advisors, we understand that our industry’s terminology can be difficult to follow. Our job is to make money and investment concepts clear and easy to understand.